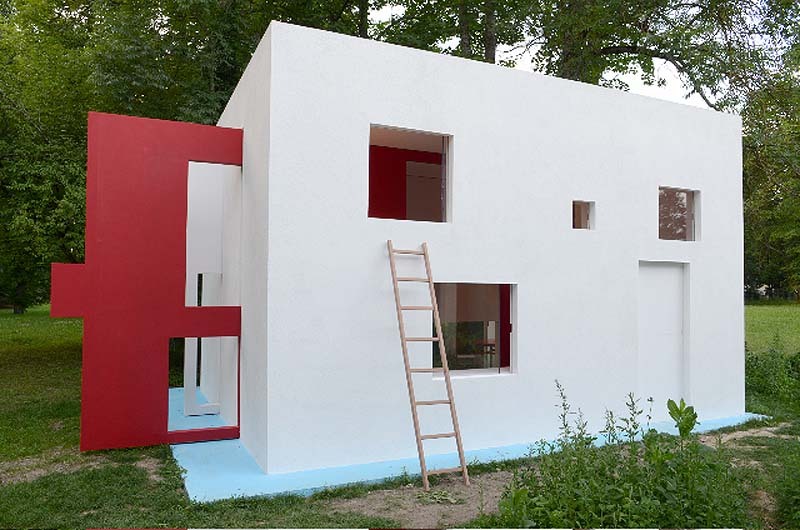 With the premise of functional habitation wherein houses are set up by way of a pre-determined relationship between space and occupant, artist Jean-Pascal Flavien has created several houses—the viewer in Rio; no drama house in Berlin; and two persons house in Sao Paulo—and now his breathing house, la maison respire, in the Parc Saint Léger in France. On the one hand an exhibition, the project is experienced in three stages: before, during, and after. Before: the artist lives in the house defining the relationship to the exhibit space. 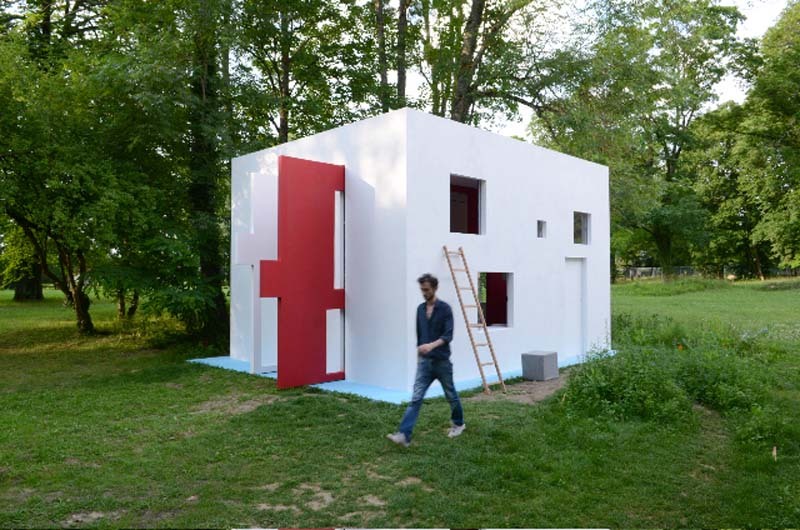 During: the artist invites people close to him to live in the house for a few days, leaving behind a testimonial of their experience in the form of a document. After: all the contributions are collected as a publication and considered a constitutive part of his work practice. I find the whole conceptual aspect interesting, but I have to admit that what drew me to the project was the house itself, with its sliding panels and coordinating furniture. You can read more about Jean-Pascal Flavien’s work here. Photos courtesy of the artist and Galerie Catherine Bastide. This entry was posted in Architecture, Art, Event, Interaction Design, Stuff We Like. Bookmark the permalink.